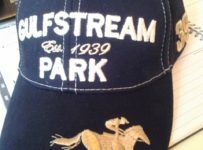 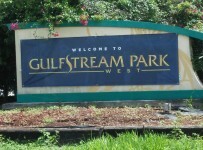 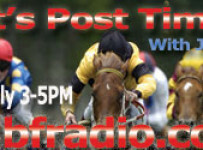 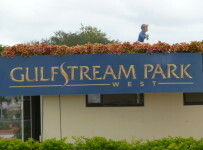 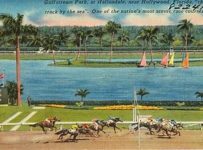 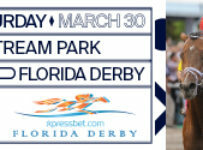 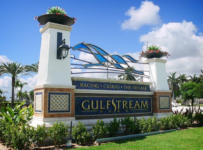 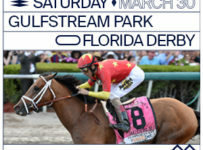 Gulfstream Park West Friday has a 9-race card with first post time of 12:30 PM. 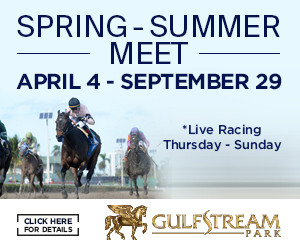 The weather will be partly cloudy with a noticeable drop in temperature – to the mid-70’s during racing hours. 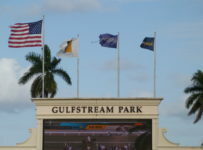 Perhaps Winter weather has arrived in South Florida finally. 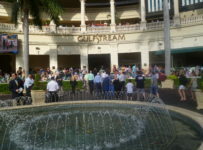 On Thursday, 72 starters competed in 9 races under cloudy-firm conditions for $295,000 in purses. 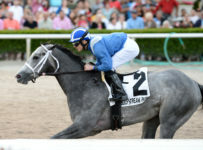 There were few surprises on the day, sans King of Spades at 22:1 winning race 3. 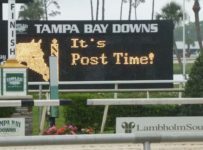 The late races paid the following: Late Pick 4, $171; late Pick 5, $1,911 and Rainbow 6, $1,133. 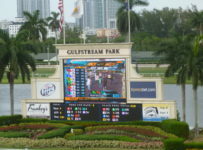 $40,006 was wagering on the Rainbow, of which $22,403 was paid out to 20 winners. 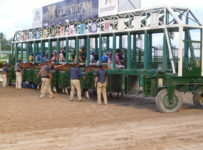 Friday’s carryover will be $41,778, the sole carryover for the day.